Herbert Edward Vermillion, age 95, formerly of Wappinger’s Falls, died at the home of his daughter, Louisa Coburn, following a brief illness. Born August 4, 1908, in Competition, MO, he was the eldest son of the late Omar and Edith Wright Vermillion. A graduate of Competition High School, 1926, he attended Chillicothe Business College and became a telegrapher /agent for the Frisco Railroad in OK, KS, and MO. He received the A.A. degree from Iberia Junior College, the B.S. in chemistry from Monmouth College, IL, and the Ph.D. in chemistry from Duke University. While at Duke he was an Angier Biddle Duke Fellow. From 1939 to 1941 he was assistant professor of chemistry at Wofford College. In 1941 he joined the Texaco Research Center in Beacon, NY conducting research on fuels and chemicals, eventually becoming head of the fuels research laboratory. During World War II he was involved in the development of aviation and rocket fuels. In the postwar years he researched special processes for fuel production from petroleum, coal, shales and tar sands. Much of his work during the 1950s and 1960s was classified contract work for the U.S. armed forces or other federal agencies. From 1970 to 1973 he supervised the development of unleaded gasoline for Texaco. He was the holder of 15 U. S. patents covering products and processes related to automotive fuel production. He was a member of Phi Beta Kappa, Sigma Xi, the American Rocket Society, American Institute of Chemists, and the American Chemical Society. He retired from Texaco in 1973 after 32 years of service and moved to Shelby, NC, where he enjoyed gardening, golfing, and fly fishing. He was a member of the Shelby Presbyterian Church. He was preceded in death by his wife of 59 years, Catherine Trawick Vermillion. He is survived by a son and daughter-in-law, John E. and Carole A. Vermillion, of St. Paul, MN; a daughter and son-in-law, Louisa and Oakley H. Coburn of Spartanburg, SC; three grandchildren – Brian A. Vermillion of San Diego, CA, Jessica E. Vermillion of St. Paul, MN, and Nathaniel A. T. Coburn, of Spartanburg, SC. 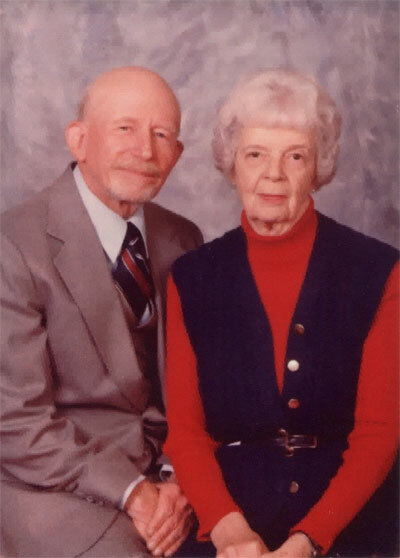 ; a brother, Edwin Vermillion, of Riverton, WO; and a sister, Juanita V. Montgomery of Blue Springs, MO. Graveside Services were held at 4:30 p.m. in Greenlawn Memorial Gardens, Spartanburg, conducted by the Rev. Dr. Clay H. Turner. Those of us who ever tried to give my father a gift – birthday, Christmas, or otherwise – knew how difficult this task was. Daddy never seemed to need anything. “How would you like a new shirt, Dad?” “Don’t need a shirt. Gotta shirt. Got more shirts than I can wear in a lifetime.” Sometimes we nailed this gift business, though. There was the time my brother filled an entire cardboard shipping box with loose golf tees – thousands of them in all colors. He was delighted. Once I gave him a wool hat that he seemingly liked – at least he wore it until it fell apart. Well-chosen books almost always pleased him. In the mid 1960s, when Tolkien’s trilogy first appeared in the U.S., Dad read a review of the books in the New York Times. “Do you know about these?” he asked me. Well, of course I did, and I gave him The Hobbit and then The Lord of the Rings. He read them, he truly enjoyed them. My scientific, logical, pragmatic, and always practical father took to wearing a lapel pin that read “Frodo Lives!” He would wake at 5 in the morning to squeeze in an hour’s reading before work. Not content to read alone, he would wake my mother and read aloud to her, performances which included all of the Elvish songs sung to some tune only Dad now would know. One of the books I gave to my father in the late 80’s was	Harry Middleton’s The Earth is Enough. The subtitle of the book is “growing up in a world of fly fishing, trout, and old men.” The book resonated with both of us. 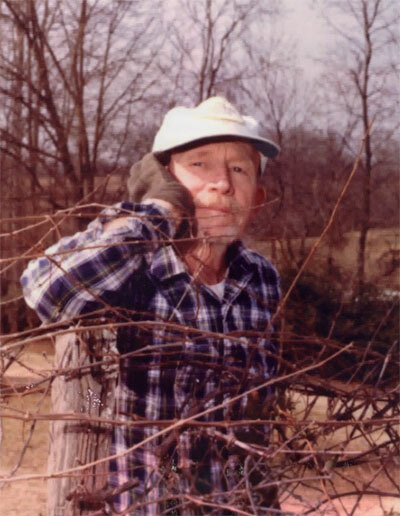 For Dad it brought back memories of his youth in the Ozarks of Missouri, a way of life he had known and experienced. For me, it brought to the forefront of my awareness a longing for a simpler life, and the beginnings of my efforts to consciously make our home a haven for our family. To quote from the foreword of my edition, “the book is ...about love for all things that matter...a profound ode to the earth and to mankind, governed by respect, gentleness, and humor.” Dad’s life was really all about a love for all things that matter – his wife Catherine, his children, his grandchildren, and his brothers and sisters and nieces and nephews; the land and what he could coax from its depths, the flash of blue on a bluebird’s wing, the wondrous sight of a flock of cedar waxwings. Indeed you were, Dad. You were. My father was on this earth from 1908 to 2003. 95 years. For a long time, I have been thinking that his life was like the course of a long river. Small streams and creeks to start, feeding into larger streams broken by rapids, flowing down and converging into a wider easy going river, ultimately emptying into sea and disappearing. To know my father, you had to see him at engaged in various outside pursuits along this journey. Always there was the gardening Dad. Wherever he lived, you could find him out there growing something. My sister and I recall the endless variety of stuff, from the sour cherries to the grapes, corn, peas, tomatoes, you name it. Always there was the fishing Dad, more about that later. In the 50’s and 60’s, there was the beagle Dad. Raising beagles and chasing them over the hills as they tracked rabbits. Trust me, beagles do howl at the moon. Then there was the golfing Dad, playing all over North and South Carolina during the 70’s and 80’s. As usual, Dad took up the sport with a vengeance; witness his hole in one trophy from 1978. But I think that his heart was captured most by fly-fishing. He always was interested in fishing, but took up fly-fishing in earnest from the 60’s on. Fly-fishing is a religion to many, as you know. So I conclude with a passage loosely taken from “A River Runs Through It”. And I can see Dad having these thoughts on his last true fly-fishing trip to the West, when he was at least 83. “Now of course, all those I loved when I was young are dead, but I still reach out to them. I am too old to be much of a fisherman, and I usually fish alone, although some friends think I shouldn’t. I often do not start fishing until the cool of the evening. Then in the half-light, all existence fades to a being with my soul and memories and the sounds of the river and a four-count rhythm and the hope that a fish will rise. So let’s think of Dad out there now, fly fishing in the evening, hoping for the big one, with my mother sitting back hoping he won’t fall in this time.